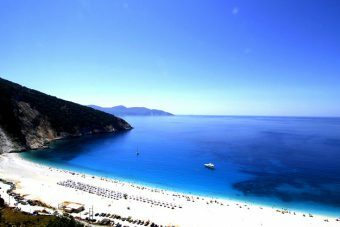 Apart from swimming in the sea and soaking the sun, there are so many chances for fun activities in Greece. A large number of visitors do not actually know it but over the last years, the country has developed an interesting network of adventurous sports and activities. Here are some examples of adrenaline activities that you can practice during your Greek holidays. In summer, the wind is blowing strong over the Greek islands and creates many spots ideal for windsurfing and kitesurfing. 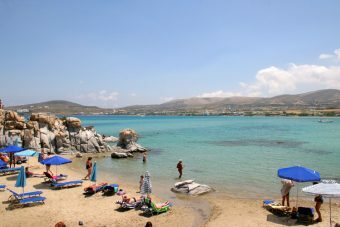 The most popular islands for these two sports are Paros and Naxos in the Cyclades, both accessible in 4 hours by ferry from Athens, as well as the island of Lefkada in the Ionian Sea. However, there are also many other windy locations, perfect for these sports, including locations on the islands of Rhodes, Kos, Karpathos and Crete. Many windsurfing and kitesurfing centers are found in the popular bays for these sports, making it easy for visitors to learn how to ride the wind or rent the necessary equipment to do so. If you go on holiday in popular Greek islands, you will find many water sports centers on the beaches. Playing with water sports games is among the most fun activities in Greece. There are all kind of games available, from bananas and turbo rides to more recent and adrenaline games. Santorini, Mykonos, Paros, Rhodes, Corfu, Kos, Zakynthos and Skiathos are only few of the Greek islands where you can find water sports to enjoy a fun day at the beach. As it is only the last decade that water parks and aqua lands are being constructed in Greece, these parks are modern and safe according to the most recent regulations. With large pools, many games and snack bars, these water parks offer a wonderful place for a fun day for families with kids and people of all ages. The most famous water parks in Greece are the Faliraki Waterpark in Rhodes, the Aqualand in Corfu, the Lido Water Park in Kos and the Water Fun at the Corinth Canal, only an hour drive from Athens. These parks will offer some really fun activities in Greece and memories that will last for a lifetime. Can there be a more fun and suitable activity in Greece than sailing? It is almost impossible to visit the Greek islands and not experience sailing. It can either be taking the ferry to the island or taking a local boat tour. Other tourists prefer to charter yachts and have autonomy in their activities. It is a real pleasure to get on board in Greece and go to the open sea to see the big blue and feel the fresh breeze. You can try boat tours in almost any Greek island. The most famous are the volcano boat trip in Santorini, the boat tour to the Shipwreck Beach in Zakynthos and the tour to Lalaria Beach in Skiathos. 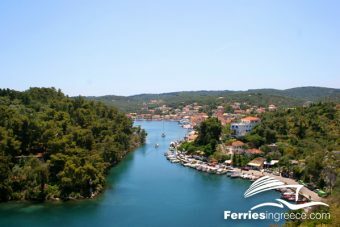 To enjoy all the perks and fun activities that the Greek islands have to offer, book your ferry tickets now!